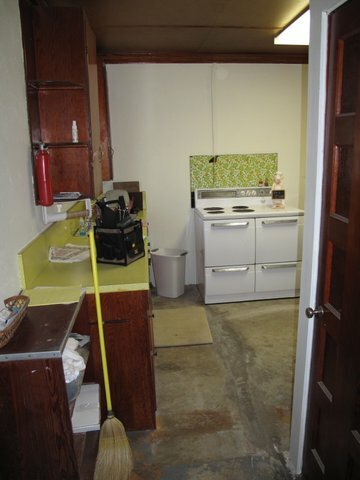 Very Very Vicky: The Coral Cottage Kitchen Gets Paint and Cabinets! 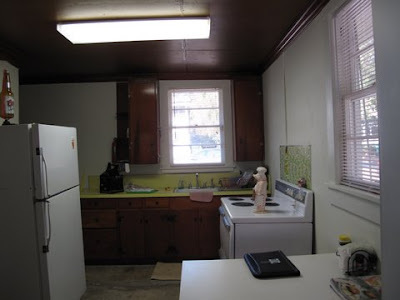 The Coral Cottage Kitchen Gets Paint and Cabinets! well-made and I am pretty happy with them! After--gotta love that shiny counter edge! Can you see the shiny edge on the counter top? It looks kinda retro diner-ish. Jamestown Designer Kitchens suggested it and made it. This kitchen is small so it wasn't expensive but it adds a lot of zip, don't you think? After--doesn't the white look pretty against the blue? It's starting to take shape! Flooring and appliances--here we come! I think it looks a lot bigger with the light colors instead of the dark wood. Nice! Really nice!! Blue makes it look clean & bright! Thanks Becky--this cottage has lots of windows and the light is beautiful in it. The blue and white help reflect it nicely. It looks so crisp and clean. I can't wait to see that stove in there. Good job! Picture is coming up soon!